Akademik Sergey Vavilov was built in Rauma, Finland in 1988 and was designed for polar research and is now only 1 of 2 scientific vessels still actively participating in marine science. 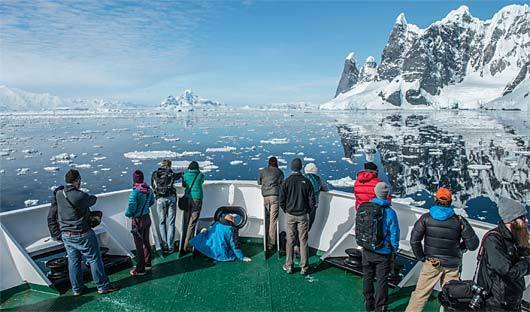 With extensive upgrades and expansions, the Akademik Sergey Vavilov is safe and ice-strengthened, and is now a modern, comfortable and very spacious ship. 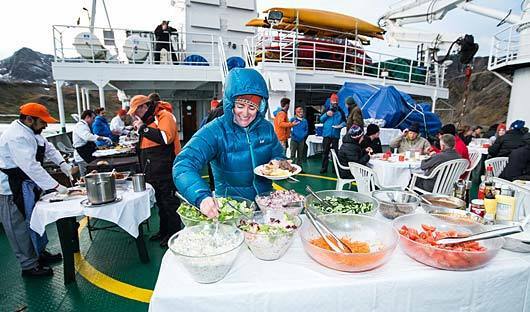 With a maximum of 92 guests (with room for more) everyone can go ashore at one time. She transits open water crossings with ease due to her mass and integrated internal ballast system, resulting in a tremendous reduction from rolling in heavy seas. 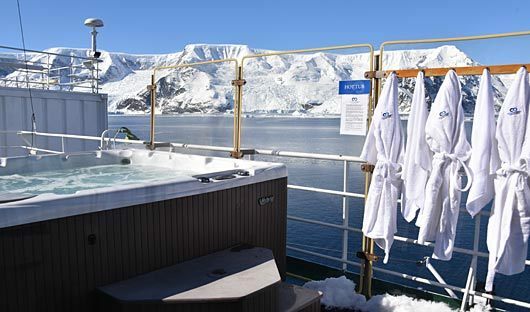 Whether negotiating safe passage through the Northwest Passage, the coastal fjords of Greenland or the small bays and islands of Spitsbergen the technical features of the Akademik Sergey Vavilov shine for the advantages they offer to the passenger experience. With bow and stern thrusters, it can spin on its axis and the multiple pitch propellers offer immediate reduction in speed when a wildlife opportunity presents itself. All prices are in US$ per person sharing. Voyages start and finish in locations as indicated. Single supplement is 1.5 x the published twin rate for twin-semi private, twin private and superior cabins. Single supplement is 2 x the published twin rate for suites. 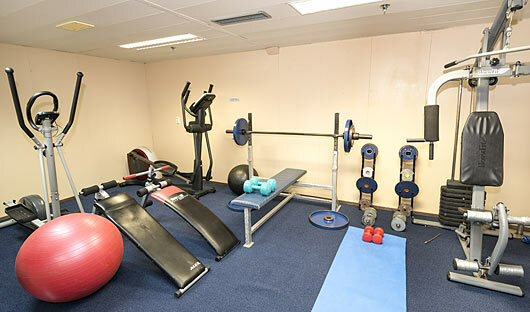 Single supplement is not available in triple cabins. 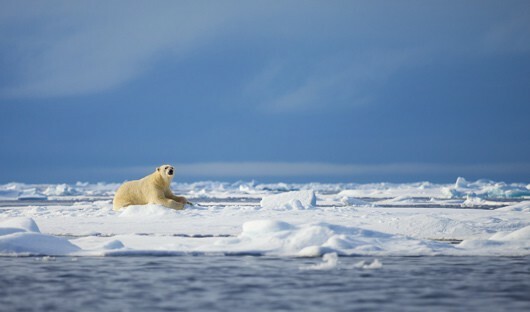 Book by 31st May 2019 and enjoy US$1000 Off voyages. Offer is subject to availability and may be amended or withdrawn at any time. Normal booking terms and conditions apply. 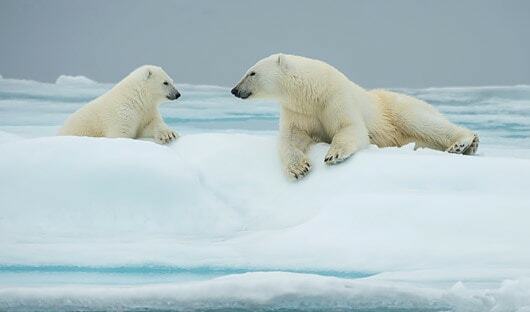 Located on deck 5 the One Ocean Suite is separated into two very spacious rooms. 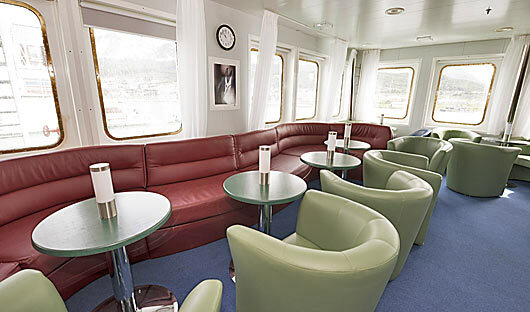 The lounge areas is perfect for relaxation and has a sofa, large table, writing desk, ample storage, plus large picture windows overlooking the bow (forward facing) that can be opened. 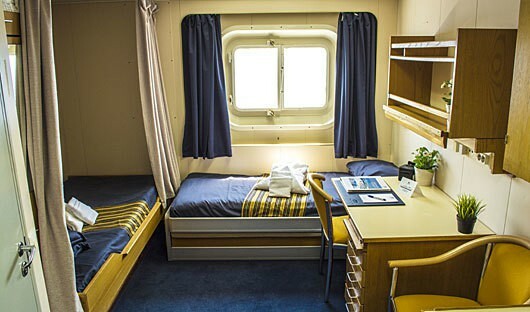 The separate bedroom features a double bed with quality linen & pillows, night light and windows over the port side of the ship. The bathroom has a bathtub and a shower. There is also a region specific iPad, mini stereo, capsule coffee maker, fully stocked mini bar, iPod alarm clock with audio line and several arms chairs. 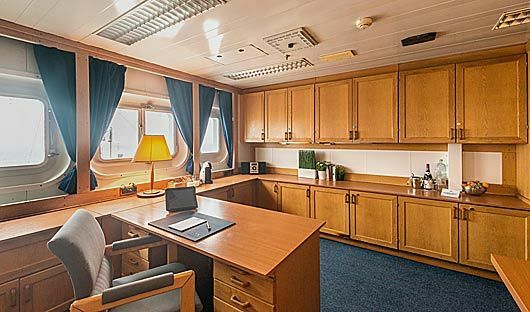 Located on decks 4 and 5 the Shackleton Suites have two spacious rooms, one that is ideal for relaxation with a sofa , large table, writing desk, chair, ample storage and a large window that can be opened. A separate private bedroom has a double berth with quality linen & pillows, night light, private facilities, iPad loaded with region specific material, mini stereo, capsule coffee maker, fully stocked mini bar, iPod alarm clock with audio line. Additional features and amenities include: toiletry kit; hairdryer; coffee/tea maker; vanity kit; quality linen and duvet, luxury cotton bathrobes. There are three Superior cabins, all located on Deck 3. These cabins feature two lower berths, a comfortable sofa, a writing desk and chair and plenty of storage space. 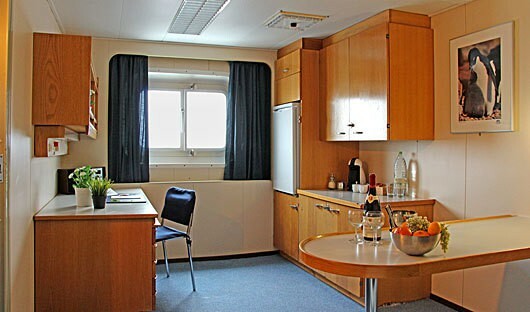 Washroom facilities are private and all cabins have a several portholes, which open. Additional features and amenities include: toiletry kit; hairdryer; coffee/tea maker; vanity kit; quality linen and duvet, luxury cotton bathrobes. 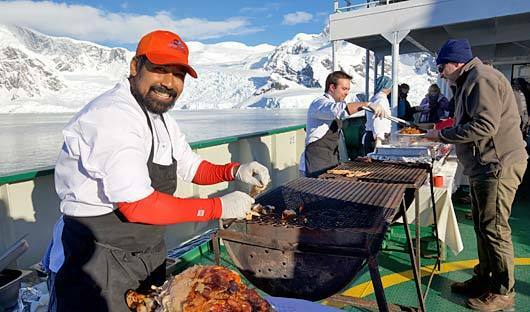 These cabins provide great access to the outer decks, ship reception and dining room and the expedition mudroom where you prepare for your off-ship excursions. 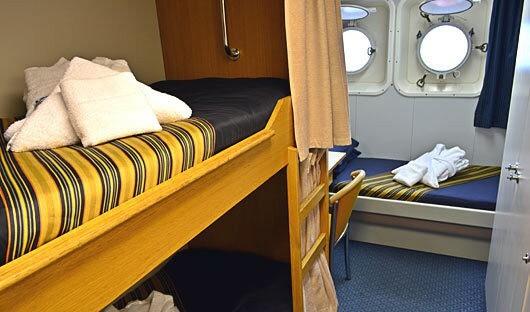 Twin Private cabin are located on decks 3, 4 and 5. They are spacious and well-appointed and feature two lower berths (one which can be converted to a sofa during the day), with private washroom facilities (sink, shower, toilet and bathroom cabinet). There are tall wardrobes with internal shelving for storage, a writing desk, chair, bookshelf, and a window that can be opened. 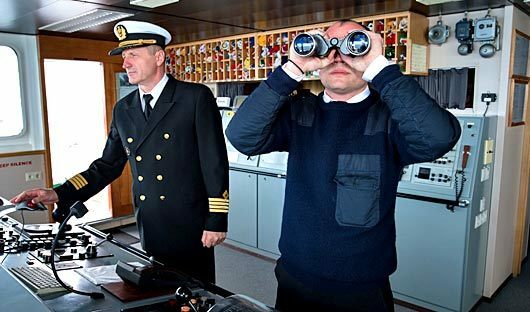 Located on deck 4. 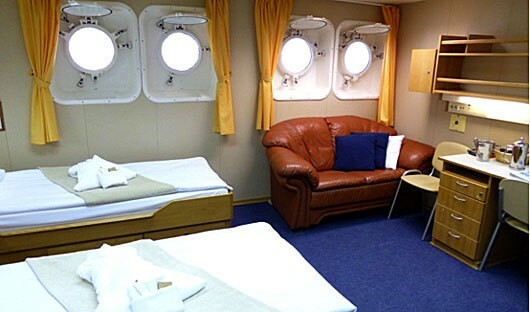 Twin Semi Private cabins have two lower berths, one of which can be converted to a sofa during the day. These cabins have tall wardrobes with internal shelving for storage, a writing desk, chair, bookshelf, and a window that can be opened. Facilities are semi-private; meaning you share the bathroom facilities with the adjacent cabin (the door into each cabin can be locked from both sides for privacy). 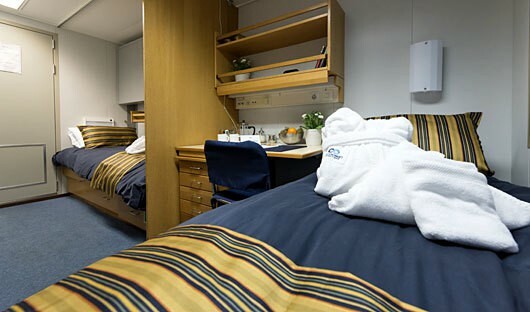 Located on deck 3 Triple cabins feature two lower berths and one upper berth. One lower berth can be converted to a comfortable sofa during the day. Washroom facilities are shared (not en-suite). There is a washbasin in the cabin, a writing desk and chair and ample storage for all cabin occupants. These cabins are efficient and well-appointed with two portholes with the option to open one. One triple cabin is reserved for female guests, the other is for male guests. 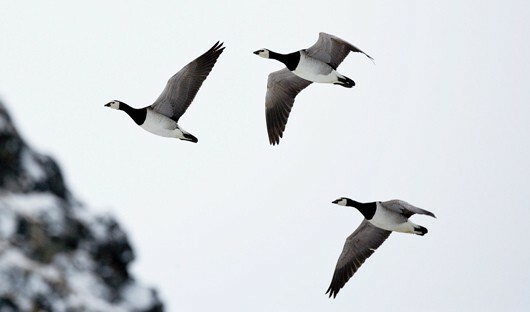 Triple cabins can also be booked by groups of three travelling together.